Bingo is a much loved game amongst youngsters as well as the elderly. It is a great way to spend time with friends and family. You not only get to socialize but also boost your brain power. However, if you are new to the game of bingo, you need to know about certain aspects before you can actually play it. as a guide for beginners. ed out. You will be given bingo ticket on which you need to circle the numbers. Once you complete the required pattern, you have to shout out to the House and tell everyone that you have done it. Bingo involves many variations and these include: line only, straight full house etc. However, the basic game remains the same and you have to complete a pre-determined pattern. When you are done with it, show it to the House and you stand to win lucrative prizes. The game of bingo is played on a bingo book. A single game is played on one page that is divided into six different tickets. It is up to you to decide whether you want to play one or six tickets at a time. There are a total of 90 numbers if you play on all the six tickets. There is no repetition of numbers on a single page. You have to keep on marking every number that is being called out. All the numbers are set in columns and rows. Every normal ticket has a total of 15 numbers in 3 rows which means there are five numbers in every row. If you are able to mark all the numbers in a single row across the card, it is called as a line. Similarly, if you finish marking all the numbers in two lines, it’s known as two lines. In order to win money, you have to be the first one to call immediately. If you don’t call out loudly before the next number is announced, you stand to lose the game. Therefore, listen to the numbers carefully and be sharp in your reflexes. Staying alert is very important as it can make you win or lose a game. 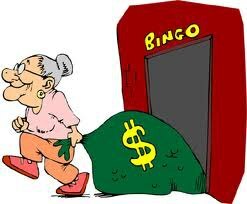 We at Texas Charity Bingo organize exciting bingo games in our bingo halls. For more information on various Charity Bingo events happening at our Bingo halls located in Killeen, Copperas Cove, Georgetown and Bryan. You can also call us at our hotline number (254) 634-2143.